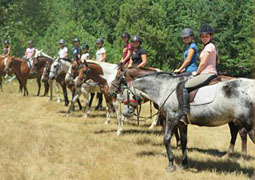 CAMP HOWDY - A summer of weekly day camps that teach kids to ride and care for horses, in Ashland. EQUAMORE FOUNDATION - Equamore provides a safety net for unwanted, abused, abandoned, neglected and aged horses who are without alternatives for their care. Phone: 541-482-5550 or see website. HART FLY CONTROL - Eco-Friendly Flying Insect Control Systems. Pro-Tech products and systems developed with environmental concern and the newest technologies. ARANAWAY FARM - Horse breeding farms located in Grants Pass, Oregon since 1952. STEPPING STONE MINIATURE HORSES - Beautiful, athletic American Miniature Horses with breath-taking movement for sale--showing, driving, breeding & adorable companions. MYSTIC PASO FINO RANCH -We board horses - by the month or if you are going on vacation and need someplace for your horses or you are passing through southern Oregon. We train horses of all breeds using natural horsemanship and offer horsemanship lessons on our smooth Paso Fino horses. White City. CITY SLICKER'S STABLES LLC - Boarding/training facility close to town. Full care, reasonable rates, Medford. JACKSON COUNTY WRANGLERS - Family friendly local horse show club/circuit. Central Point, OR. 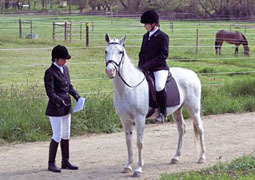 JACKSON COUNTY HORSEMAN'S ASSOCIATION - Trail riding association located in the Rogue Valley. Monthly trail rides, campouts, gymkhanas, etc. Open to all ages and all breeds of equines. For more info & to join, see our website. RIVER VALLEY RANCH - Family friendly facility, serving first timers to old timers. Lesson and training program available. Reasonable rates for stall an pasture board. Certified Large Animal Massage Practitioner on site. 55 acres of country located just outside city limits. HOLMES RANCH - Foundation Bred AQHA & APHA Horses. Standing AQHA & APHA Stallions at Stud. Quality Horses 4 Sale. MADRONE HILL RANCH - Sonja Biada, 2010 Trainer of the Year, and 2011 Demo Rider at the NW Horse Fair, starts & trains horses and teaches riders of any age. 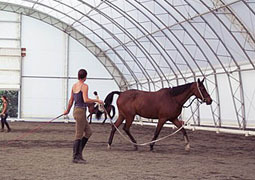 Training techniques include concepts of dressage (best foundation for all riders and horses) as well as natural horsemanship. See website for more. THREE GAITS - Summer Horse Camps (weekly residential and day sessions), Riding Vacations; Expert Instruction in Dressage and Jumping on 45 beautiful acres. For beginner through advanced riders. 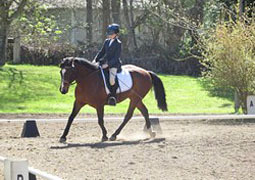 We feature both full size indoor dressage, and large outdoor multipurpose arenas.